This is the free which end is which coloring page. There's so much tickling going on even Elmo would be jealous. 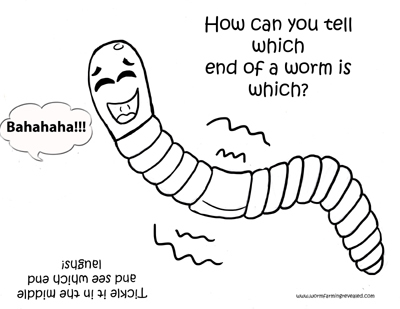 Actually the best way to tell which end the mouth is located is to find the clitellum (the thick band on a worm). The clitellum is not in the center but located closer to the mouth. Print Which-End-Is-Which Coloring Page Now!